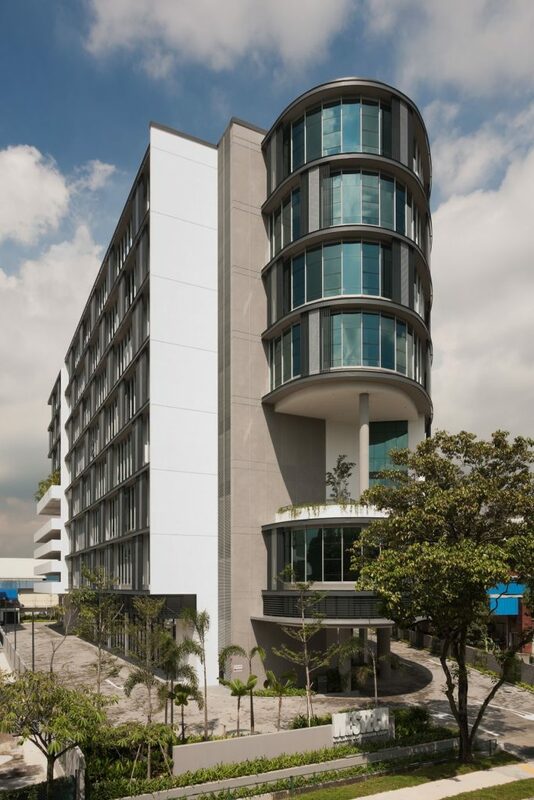 The project consists of 70 potentially individually light industrial units with a total GFA of 12,417 m² and a net saleable area of 10298m² constructed over 8-storeys on a tapering width site of only 4973 m² including provision for 120 car park lots and 4 lorry parks. 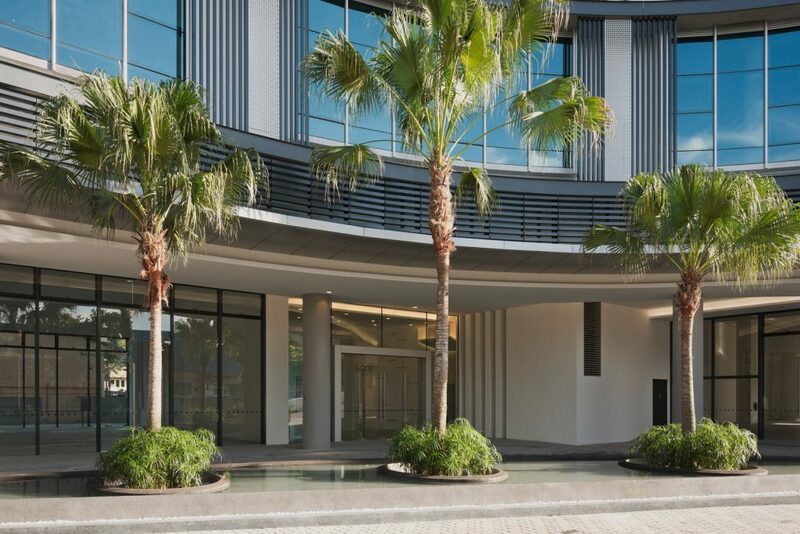 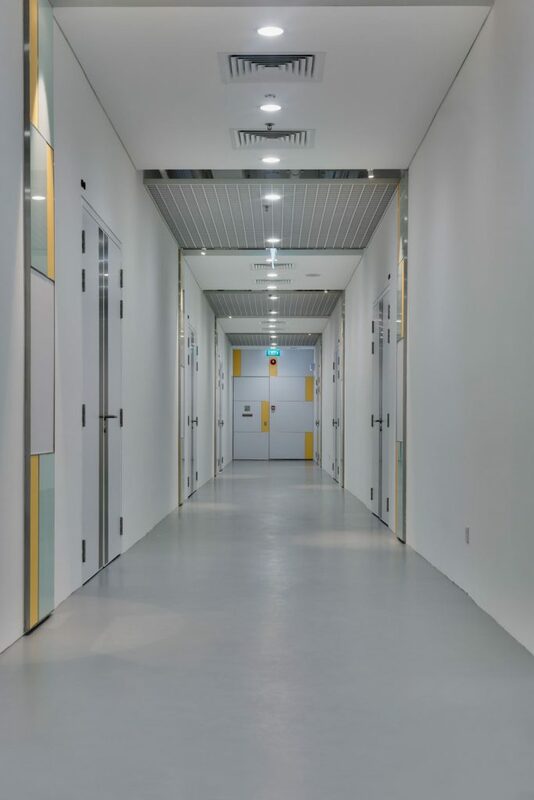 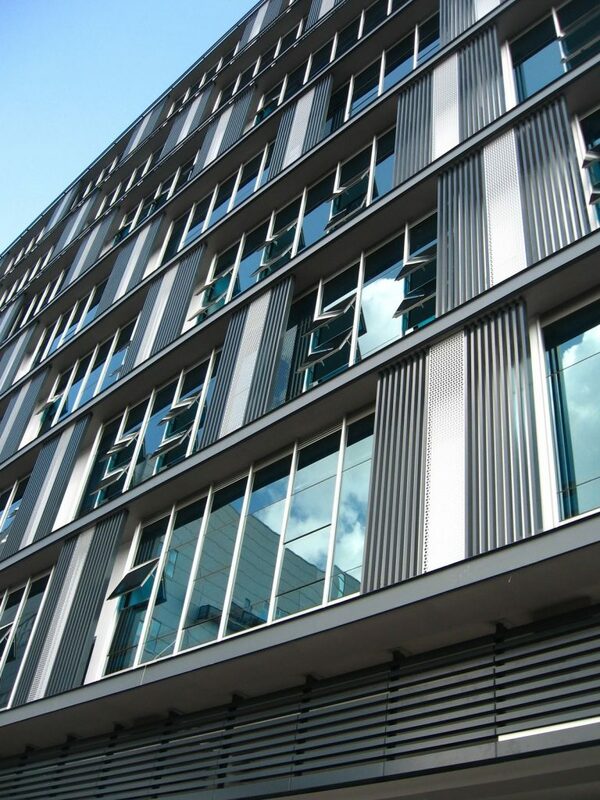 The limited main frontage offered by the tapered site, a high net to gross efficiency requirement, allowance for individual unit cooling systems and large ancillary parking and loading requirement led to the unconventional approach to this project. 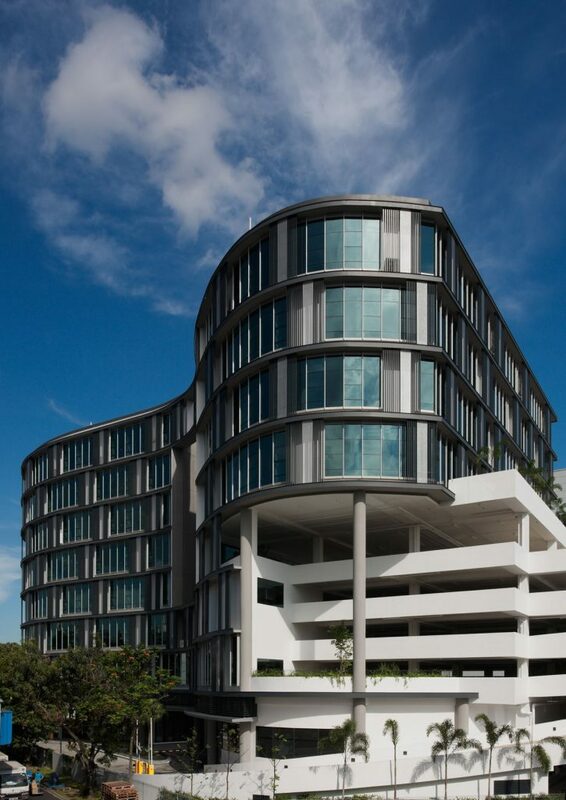 The curvilinear form extends around the plan enhancing rather than being detrimental to the unit plans and the integration of the car park and loading bay. 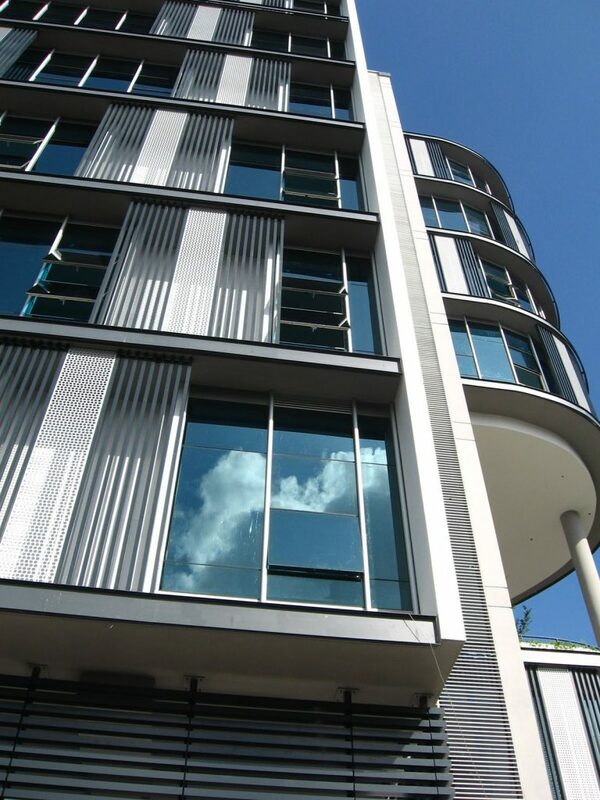 The plan offers a contrast of space configurations and views with some unit having their own direct loading areas at first storey others directly accessible from the multi-storey car park directly linked to the core. 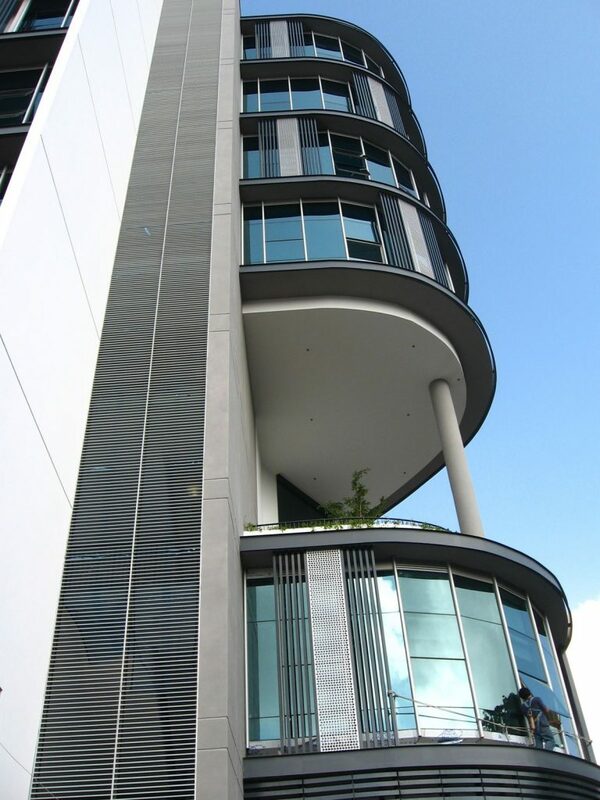 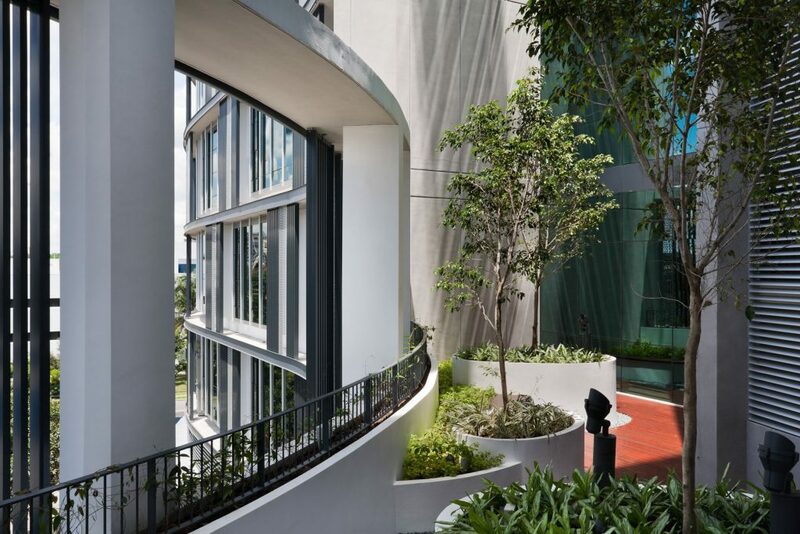 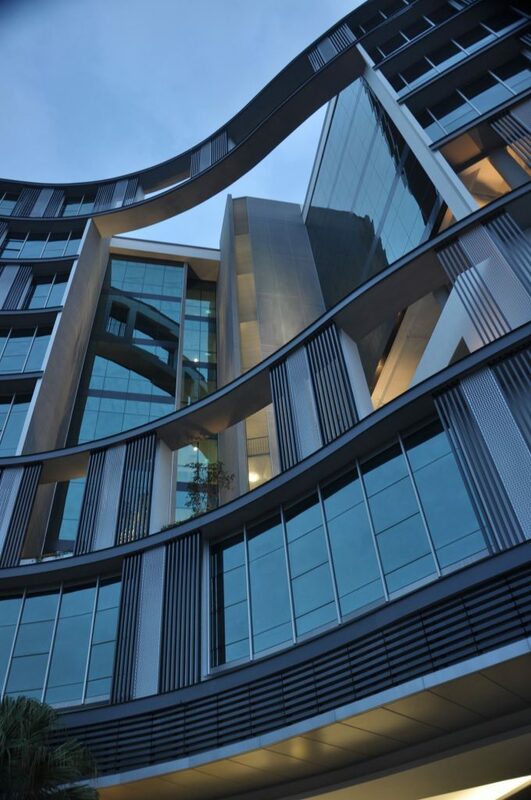 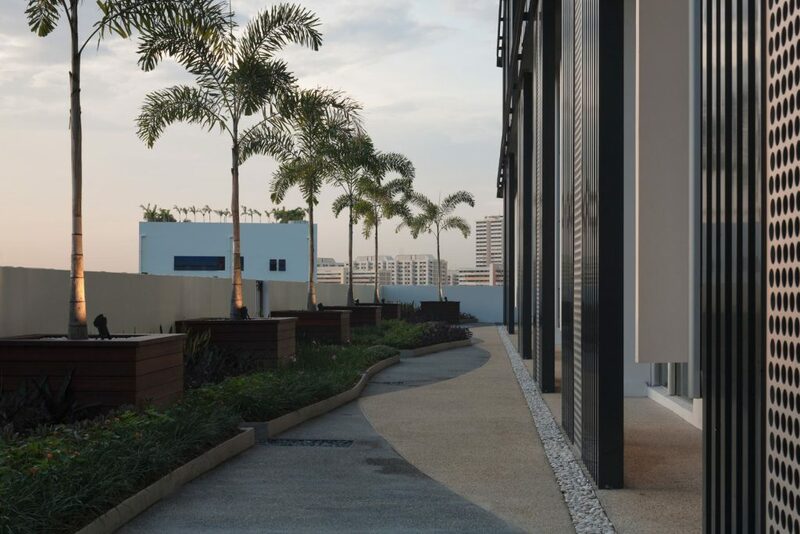 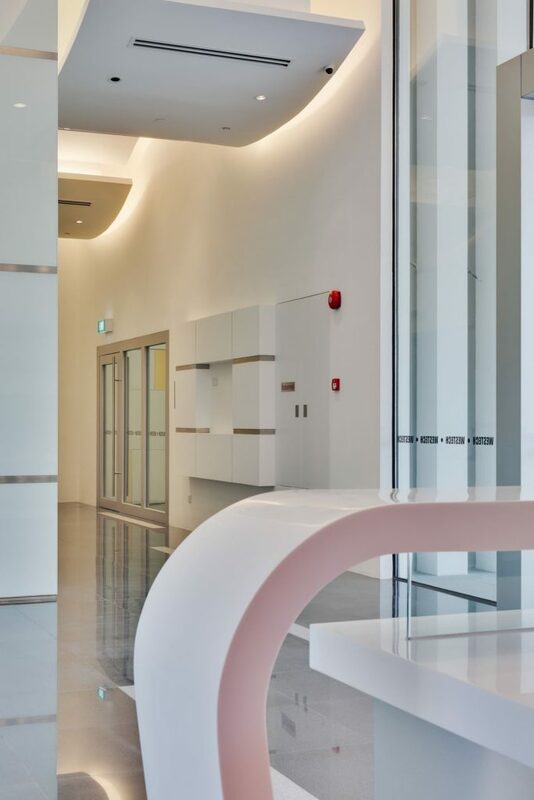 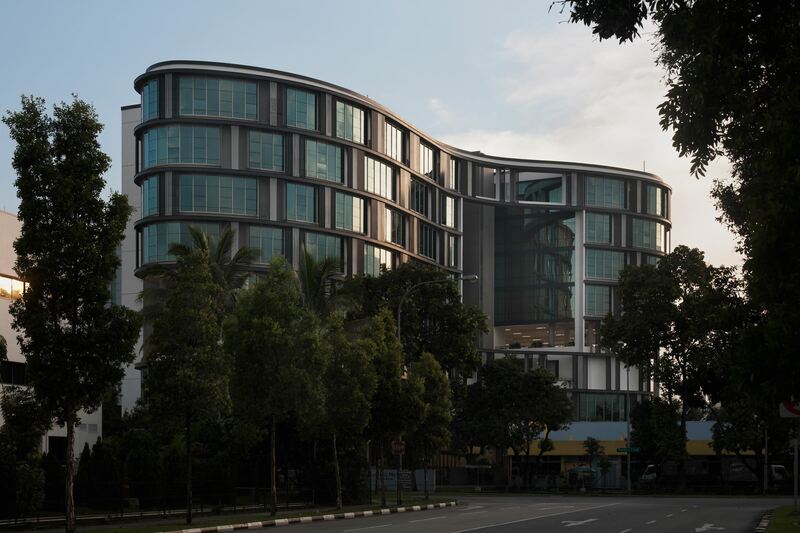 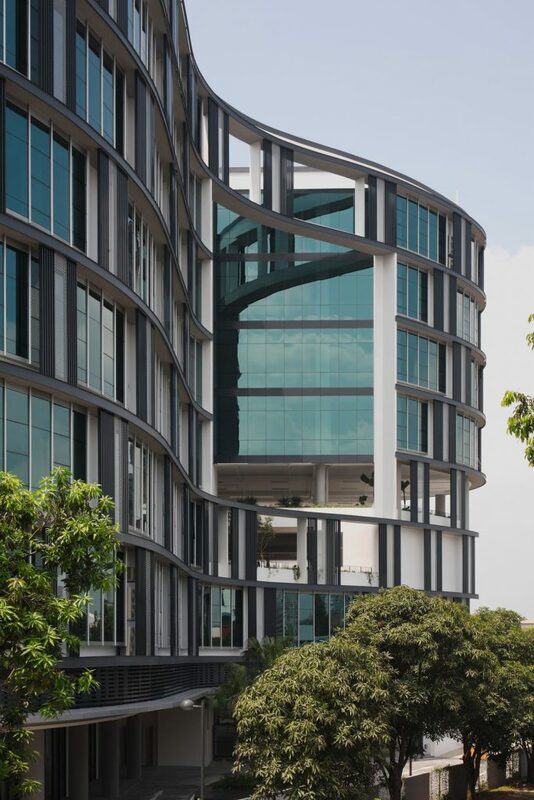 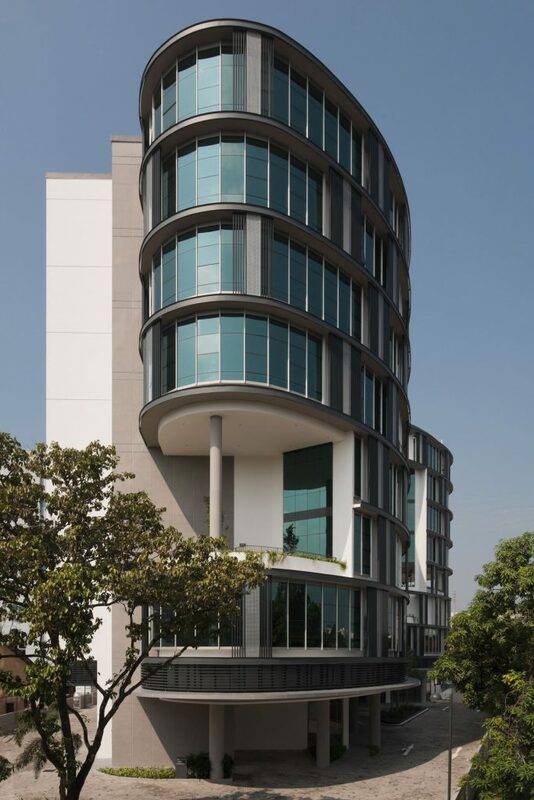 The curving building form is emphasised in elevation by the apparently random juxtaposition of carefully designed standard aluminium louvre component modules that house and provide the maintenance platform for each unit air conditioning condensers.